This dress has a special place in my heart because it’s the dress I was wearing when my hubby proposed at a sunset picnic almost four years ago. Yay. 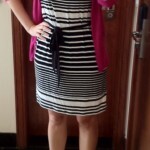 I think wrap dresses with a-line skirts are the single most flattering dress shape for any body type. They cinch at the waist and flow away from the body giving you shape while also being forgiving of flaws. 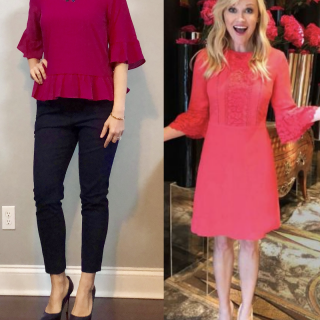 I love this dress and have worn it for so many occasions – sightseeing on vacation, dinner with parents, work with a cardigan, babyshowers… it just seems to be exactly right for so many places & events. Love that dress! It's soo pretty! Very cute! 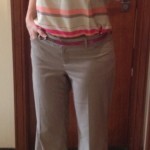 I love how a simple belt can add so much to an outfit! I REALLY want those shoes!! Can you tell me what the brand is? I like yours better than the “similar”s 😉 Your awesome! 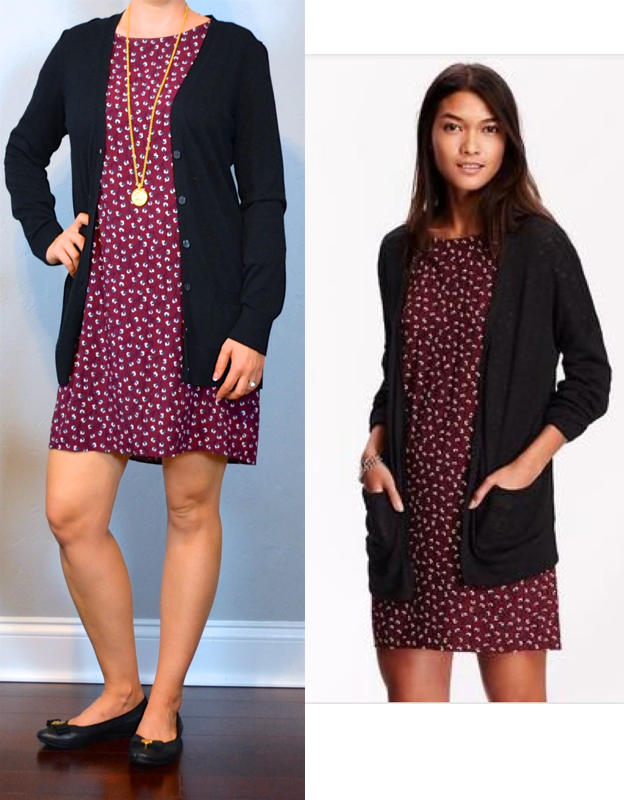 LOVE your blog and the way you have tags to buy the clothes that you show! Great job! I have a similar navy/white patterned dress and love wearing it with boots but always struggle in winter with what pant/leggings/stockings to wear with it? Unfortunately weather here is not as lovely as it is down in FL and I couldn't go without anything on my legs. Any suggestions for colors or types of layers to wear? Hmmm… would it look totally crazy to do a maroon/burgundy cardigan and then similar colored tights & brown boots? Or maybe even a black cardigan, black tights, black boots and black/white/gold/non-brown belt? OH, MY. I want that navy dress in a bad way. So very cute! Love that dress! And I love your color scheme more than the original. I find in the mornings, if I am stuck, I think about how you might put an outfit together. Yay! That's so flattering! I'm so glad you enjoy the blog!